MULTICAM: A long time coming! Four years ago we started an exciting project. 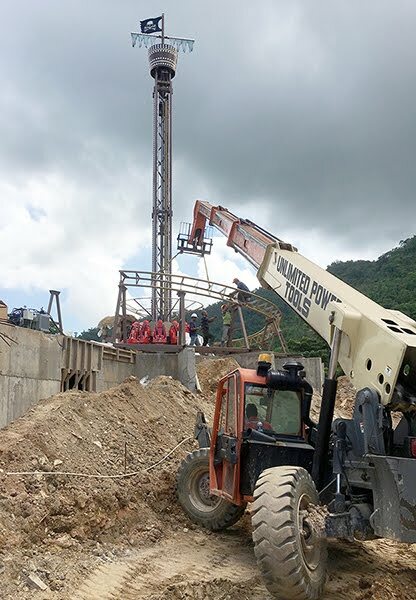 It's a theme park in Trinidad called Skallywag Bay Adventure Park. Three of the rides in the park were to be built in Italy. They are off the shelf rides which we mildly customized to fit the theme of the park. One of the rides is a spinning coaster called "Pieces of Eight". The track is a figure eight which loops over itself. We picked custom colours and enlarged one of the loops so we could locate a spinning tower drop ride inside. 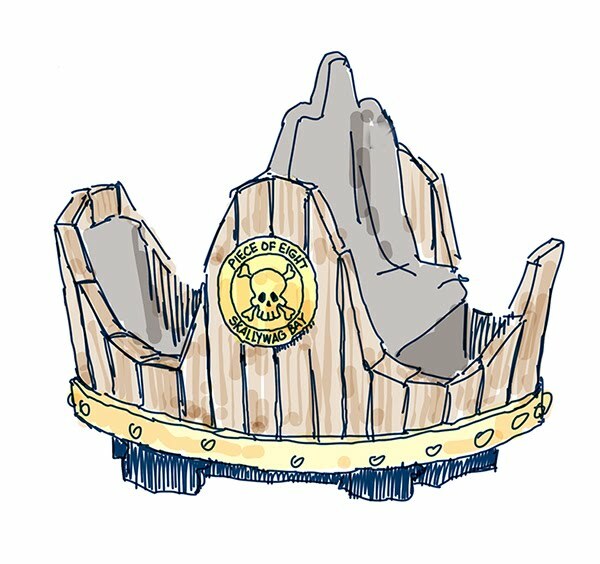 We also designed some custom cars for the coaster. In order to keep costs in check we could not change the size of the car, change the seats nor the mechanics of the car. I did some concept art up to show them what we wanted. 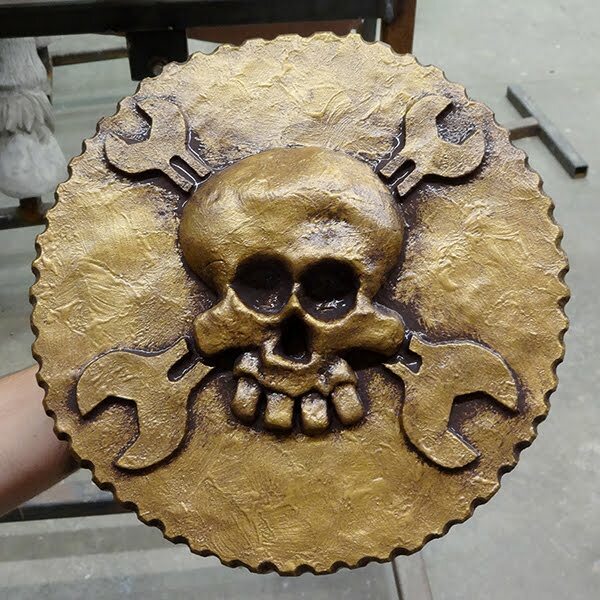 We also routed up a master of the Piece of Eight medallion we wanted placed on the side of the coaster. This master was cut on our router from 30 lb Precision Board. As they built the prototype of the car they sent us photos which we would mark up with notes. After some back and forth we signed off on the design and they built the coaster. When they finished it the ride was assembled and tested before they packed it up into a shipping container and sent it on to Trinidad. 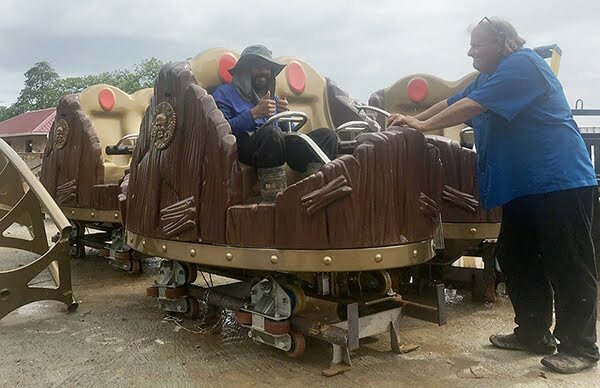 Construction of projects in Trinidad takes a little longer than we are used to in our part of the world and so the ride sat in the container for the better part of two years while the infrastructure f the park was built. This past week it was finally time to pull the ride from the containers and begin assembly. 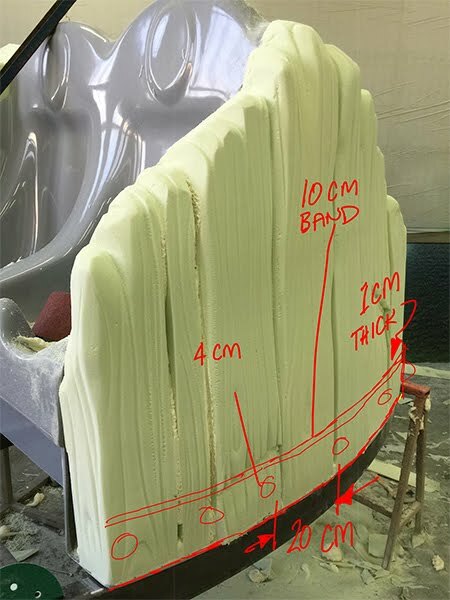 It was with great delight I finally pulled off the wraps to get a first hand look at the ride we had designed so long ago. The ride wasn't quite assembled when I left but things were coming along nicely. Soon I'll get my test ride!